Enjoy the selection of one-of-a-kind, beautiful and unique handmade jewelry, pendants, necklaces, bracelets, rings, charms and accessories for yourself or to give as a gift of distinction. Each handcrafted, artisan item comes in a gift box with product information. 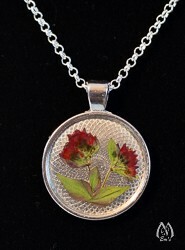 Select from a variety of handmade necklaces and pendants using pressed flowers or other charms designed by Em. 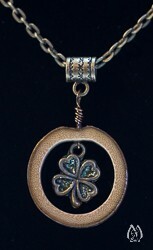 All items come ready to give as a gift or keepsake with product information.